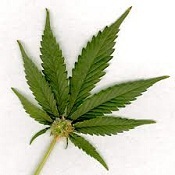 NYC Mayor Michael Bloomberg yesterday urged the decriminalization of small amounts of marijuana. This follows on the heels of last week’s move to ban the sale of sugary drinks in cups exceeding 16 ounces. At first, this looks contradictory: pot’s okay but not a big container of sugary beverage. Enough mayoral micromanaging! Still, let’s look at what the Mayor would like. In the first instance, he is backing a proposal by Governor Andrew Cuomo to decriminalize possession of 25 grams of marijuana, which has already been downgraded to a misdemeanor. Smoking pot in public is still a (criminal) misdemeanor and, if convicted, you end up with a record. With the change, conviction for having weed with the lint in your pocket won’t keep you from securing a job, housing or otherwise getting on with your life. And it will save police resources for far more important transgressions. Massachusetts voters took the same route in a 2008 referendum, and there haven’t been any problems, according to reports in the Boston Globe. So Bloomberg and Cuomo are right on this one. Bloomberg’s target is any drink that has more than 25 calories per eight ounces. What about desserts? Most ice cream has over 450 calories in the same amount. Is that next on the list of items to be banned? And given the nearly hundreds of calories in a slice of pepperoni pizza, should we ban the pepperoni? I’m all for replacing high calorie sugary drinks in vending machines and cafeterias in schools. After all, a 12-oz can has the equivalent of ten teaspoons of sugar. And studies have shown that anywhere from half to 85 percent of children have at least one such a drink each day. Male teens reportedly consume four such drinks per day. But getting into adults’ consumption habits just seems like nanny state overreaching and a weak substitute for meaningful public education, including bold product labelling, making sure people understand they do have choices, and helping to ensure those choices are accessible. This entry was posted in Culture, Politics and tagged Andrew Cuomo, decriminalizing marijuana, Massachusetts pot referendum, Michael Bloomberg, sugary drink regulations. Bookmark the permalink. I agree, except for the part about trusting The Boston Globe.